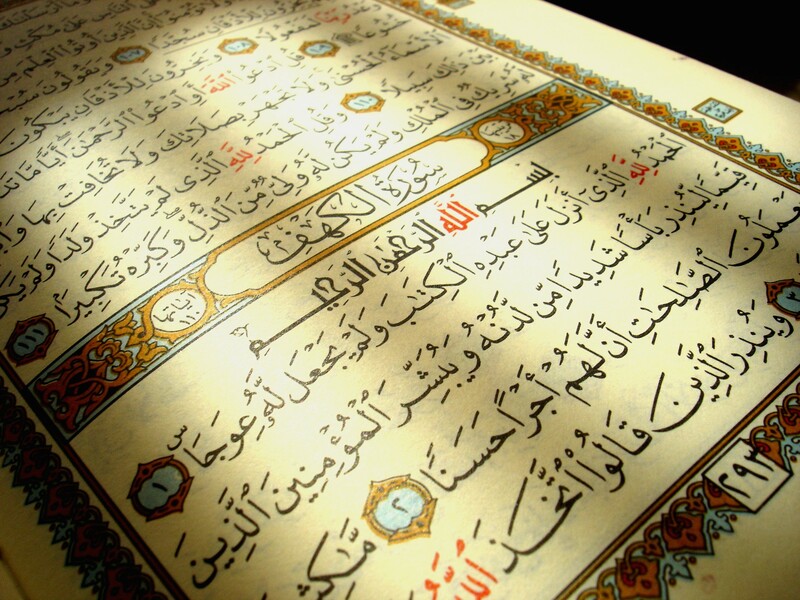 The Qur’an has used the word taḥrīf only in its literal sense, i.e. distortion in the meaning of the word and its interpretation in a wrong way, which is called misinterpretation (sū’ tafsīr) or conjectural interpretation (tafsīr bi ’r-rayy). Taḥrīf in this sense refers to the contextual distortion. An mawāḍi‘ihi in this verse refers to the following: after the word is used in its real sense as it appears, or based on the conventional implication of the common meaning, its message is distorted as a treacherous act. For example, in the expression min ba‘di mawāḍi‘ih this meaning has been indicated although taḥrīf means to divert the word from its real meaning. That is, after understanding that the real meaning – which is what God intends – is contrary to their own interests, they would distort it so as for it to become favourable to them. As such, Ṭabarsī, and prior to him, Shaykh al-Ṭūsī have described this kind of taḥrīf as misinterpretation (sū’ ta’wīl). In Al-Tibyān, the late Shaykh says, “Taḥrīf is of two types, viz. misinterpretation, and changing and substitution.” That is, the intonation of the word is changed in such a way that the meaning it conveys is distorted, such as the case mentioned in verse 78 of Sūrat Āl ‘Imrān. ‘Abduh implies that the plausible meaning of taḥrīf mentioned in these verses is the distortion of meaning, and what gave them courage to interpret in a way the glad tidings and therefore to deny the prophethood of the Prophet (ṣ) is contextual distortion. In his exegesis of the noble verse, “They pervert words from their meanings,” Zamakhsharī says, “They pervert the word from its [supposed] position,” for if a word is not interpreted according to its apparent meaning or implications, it is tantamount to taking it away from its position. This is because if a word is pronounced contrary to the way it is first pronounced, it will be treated as another word and not the earlier word. And in a bid to conceal the truth and not to disclose the glad tidings of the coming of the Holy Prophet (ṣ), the People of the Book had engaged in contextual distortion. But taḥrīf in the sense of addition, deletion or changing of words by another set of words which is the technical meaning of taḥrīf, as can be observed, has not been used in the Qur’an. Sūrat al-Nisā’ 4:46; Sūrat al-Mā’idah 5:13. Al-Tibyān, vol. 3, p. 470. Al-Manār, vol. 5, p. 140. Al-Kashshāf, vol. 1, p. 633.